Toyota Urban Cruiser photographed next to a Toyota Land Cruiser, see the family resemblance? 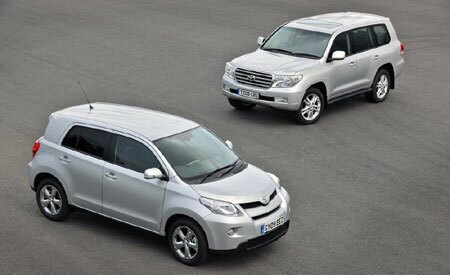 Home » Cars » Toyota » Toyota Urban Cruiser photographed next to a Toyota Land Cruiser, see the family resemblance? The world’s motoring press yawned when Toyota unveiled the new Toyota Urban Cruiser for the European market. 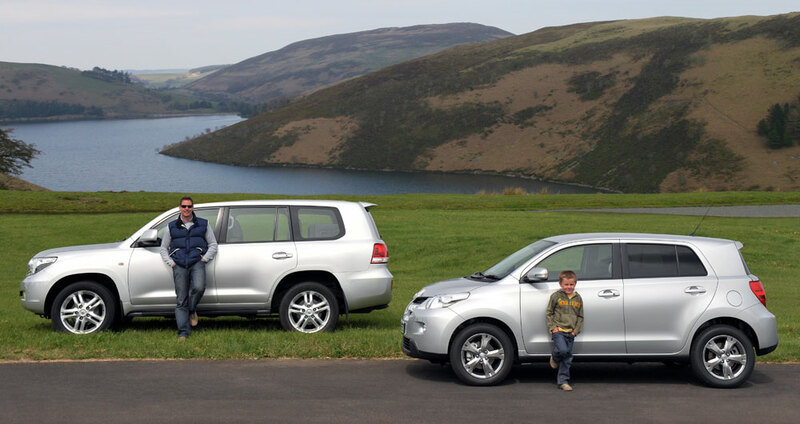 The Urban Cruiser was supposed to help fill in the gap after the Toyota RAV4 grew larger. Many expected a new model but all we got was a rehash of the Toyota ist and the Scion xD with a slightly higher ride height. And the thing is it shares half its name with the mighty Toyota Land Cruiser, a true blue offroading machine. But I suppose the word Urban changes the word completely. Here’s a new set of 3 photos of the new Urban Cruiser snapped next to its Land Cruiser big brother. 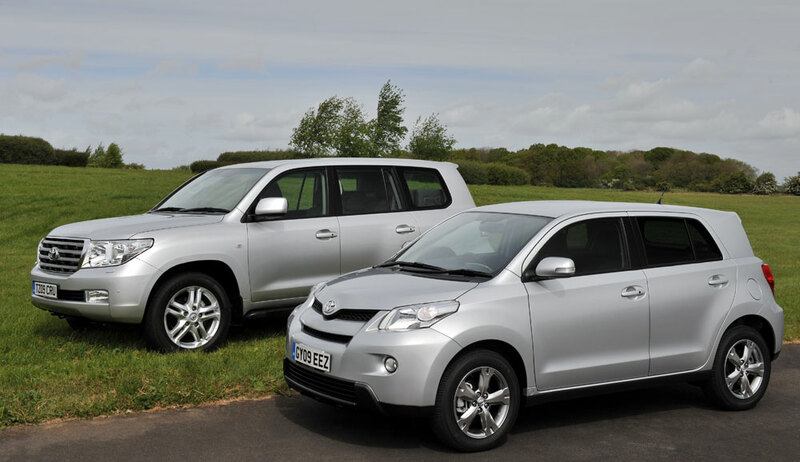 Various engines are available with the Toyota Urban Cruiser, including that new 1.33 litre Dual VVT-i unit that also features start-stop technology and puts out 129g/km. There is also a 130g/km 1.4 litre D4-D turbodiesel putting out 89 horsepower, and this particular engine is exclusively available only with all-wheel drive. The AWD system is called Active Torque Control can vary torque distribution from 100:0 up to 50:50 between the front and rear, so it actually runs in front wheel drive most of the time whenever the additional rear traction is not needed. This is done via an electronically controlled coupling located in front of the rear differential. There is also a LOCK button to force 50:50 mode. Next Post: Audi Q5 in Malaysia: RM299k to RM325k!